A brother and sister own the building at 576 Folsom, built by their grandfather at the turn of the 20th century. 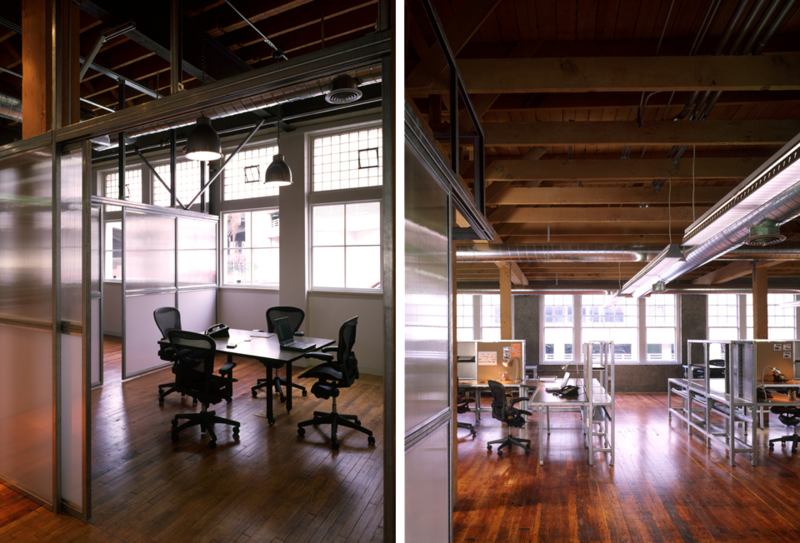 It is a light-filled brick and timber building in San Francisco’s South of Market (SOMA) district, the type of structure that appealed to emerging companies during the dot.com boom at the turn of the 21st century. The idea was to refurbish and seismically strengthen the building juxtaposing elements of a digitally inspired environment against an industrial enclosure from a past era. 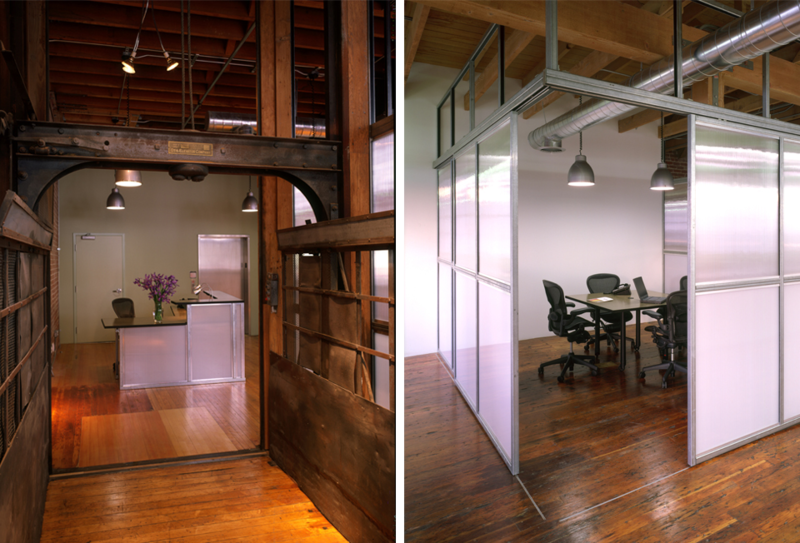 Simple, modern industrial components, mostly chosen from the Uni-strut catalog, were used in a refined manner to frame flexible partitions defining small conference areas throughout the building. Workstations and furniture were fabricated from wheat board and sunflower seed board, two of the first environmentally friendly surfacing materials. 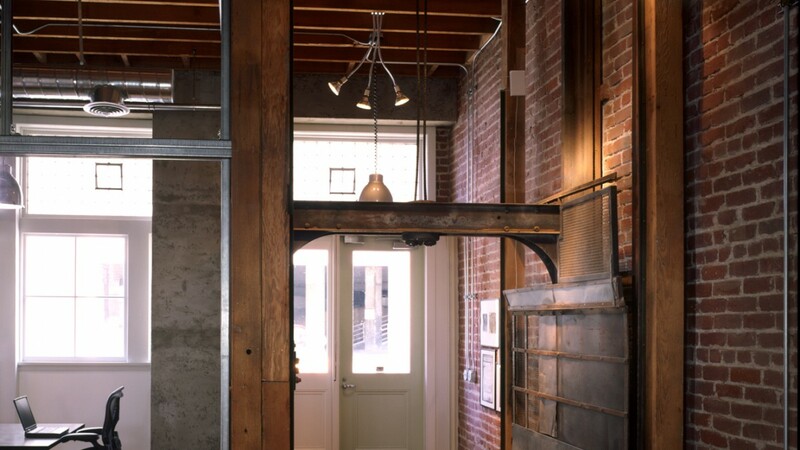 The original freight elevator was located in an unusual position near the front entrance of the building. It was stripped of its old finishes and permanently fixed as a portal separating an entrance vestibule from the rest of the building. A photo of the owner’s grandfather and the original water hook-up permit are hanging in the vestibule.